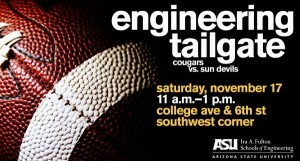 Join the Del E. Webb School of Construction and the School of Sustainable Engineering and the Built Environment and our host—Okland Construction—for a tailgate party! 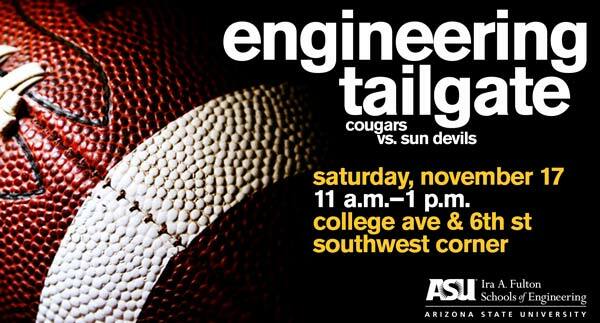 The Sun Devils take on the Cougars at 1 p.m. just across the street at Sun Devil Stadium. Whether you’re going to the game or not, join us for fun and good food. Register to attend by November 14.